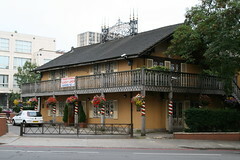 Sam Smith's pub in Swiss Cottage. Last visited by Kake, Ewan, and other Tube Walkers, some time in 2009. Last edited 2011-06-26 14:45:03 (version 8; diff). List all versions. Page last edited 2011-06-26 14:45:03 (version 8).